Area girls are wheeling and dealing again in one of the most iconic of fundraisers. Girl Scouts recently launched the 2019 Girl Scout Cookie season. 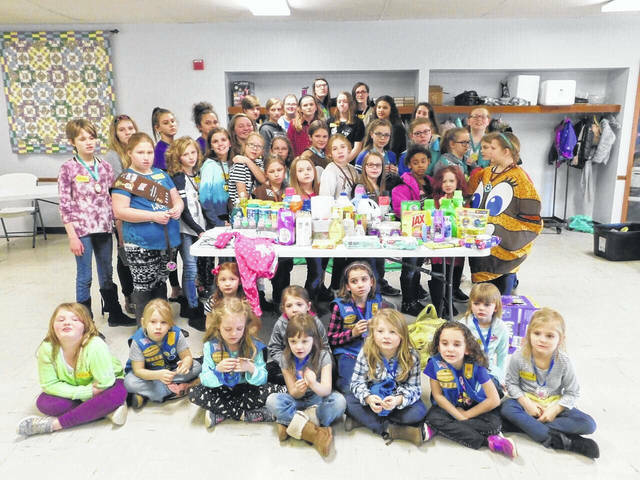 Gallia Girl Scouts held a Cookie Rally in early January. Cookies will begin to arrive Feb. 20 and cookie booths will be held starting Feb. 23 at area businesses. According to scout councils, cookie season celebrates the largest financial investment in girls annually in the United States and is a powerful entrepreneurship incubator for the next generation of female leaders. To find Girl Scouts selling cookies near you, visit www.girlscoutcookies.org or use the official Girl Scout Cookie Finder app, free on iOS and Android devices. Pictured are members of seven of Gallia County’s eight Girl Scout troops.